Emily always knew she wanted to study the art of Accounting. 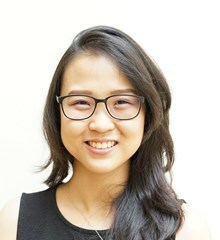 After graduating from Hull with a degree in Accounting, she took up positions in taxation and internal audits until she was ultimately called back to her roots when she found her home in BSKL. She's passionate about aerial fitness and dancing, and has a soft spot for furry animals. On the days where she's not twirling in the studio, she can be found lurking in the gym or in a cafe with a good book. She has regular karaoke sessions in the car and her perfect holiday is lounging on the beach with the shade above her head.